Ramen is a religion. In Japan, and with the countless shops that have set up locally, here in the Philippines as well. The latest to join the fray, opening today, is Ippudo, one of Japan’s biggest ramen chains. 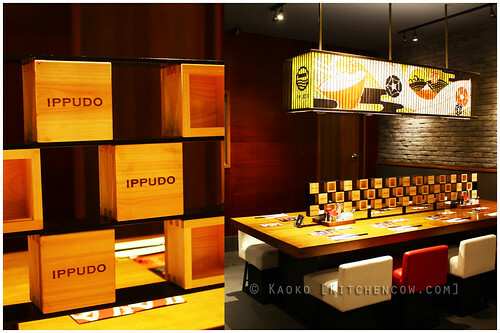 The buzz surrounding Ippudo’s opening in Manila has been the source of excitement. This almost 40-year old brand—it started with a ten-seater restaurant in 1985—is a global behemoth with branches in New York, Singapore, London, Australia, China, and South Korea among many others. 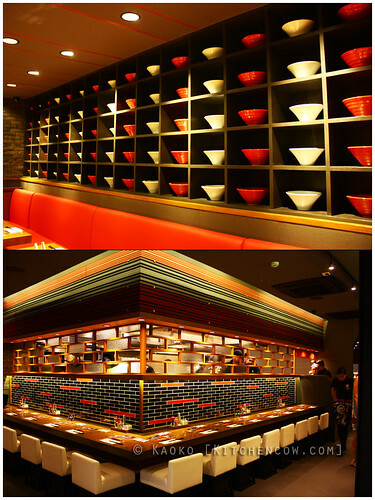 Communal seating to mimic the ramen bar feel. Meet-cute possibilities! One might argue that the local ramen market is already saturated, but after getting a sneak peek at Ippudo, I can safely predict that this brand can easily be one of the front runners in the local ramen wars. Ippudo serves Hakata ramen, a flavorful tonkotsu ramen named after Hakata, Fukuoka. 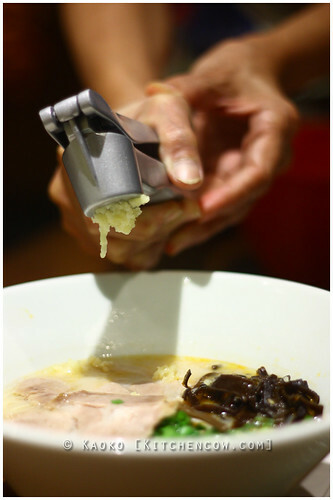 This ramen uses pork bone for its broth, boiled for 15 hours to create a creamy, milky consistency. 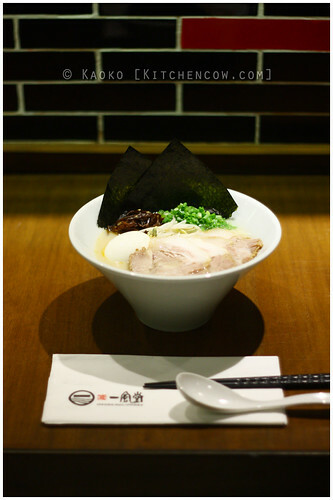 I tried the Shiromaru Motoaji, their signature ramen served in pristine white bowls. 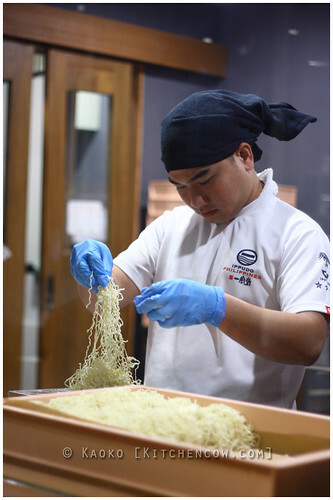 While the ramen looks almost bland, it is anything but as each sip of the broth bring a strong yet clean pork flavor that comes from the pork and not from artificial flavorings. (This is probably a silly comparison, but I was immediately reminded of the strong yet pure unadulterated flavor of balut broth.) Served over firm, straight noodles (you can choose between soft, medium, hard, and very hard noodles), each slurp of broth and noodle brought satisfaction and a relaxed contentment. Contrasting the plain-looking Shiromaru Motoaji is the Akamaru Shinaji. 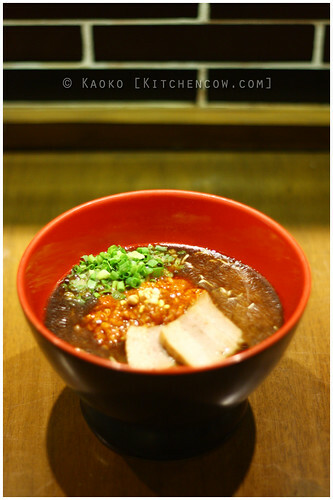 This red ramen is served with a special miso paste and garlic oil that added extra layers to the already flavorful tonkotsu. The garlic, in particular, is at the forefront with a smokey, almost burnt flavor and a delicate heat. Aside from the ramen, we were also served a variety of side dishes and appetizers. 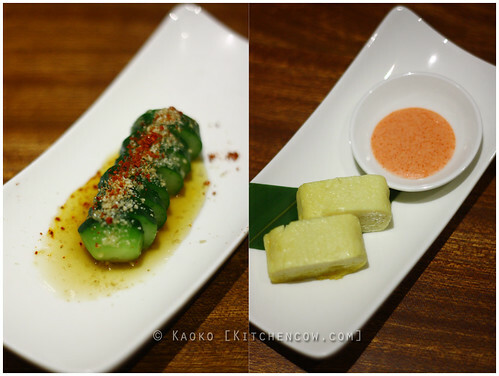 The Goma Q is a spiced Japanese cucumber dish in sesame oil and what I suspect to be shichimi togarashi. It reminded me of my favorite chili cucumbers from Din Tai Fung. There’s the Curry Cheese Harumaki, minced pork, cheese, and potato curry done up like egg rolls then served with a sweetish mustard mayo dip—lumpiang curry, I joked. It’s not a bad idea, actually. The flavors are balanced enough to be enjoyed with or without the dip. 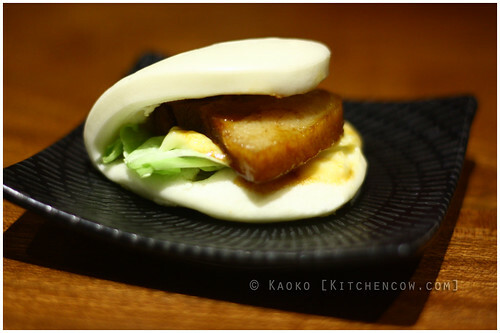 Ippudo Pork Bun – Doesn’t this look like it just descended from heaven? The Ippudo Pork Buns is another winner, with tender barbecued pork wrapped in a super soft bun. I can imagine people heading there just to order this and skipping the ramen altogether. 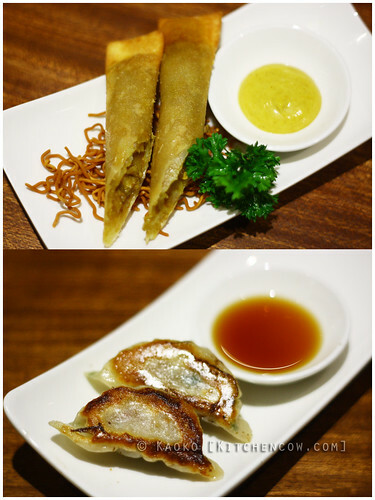 Or pairing them, as someone suggested, Chinese-style ala mami and siopao. 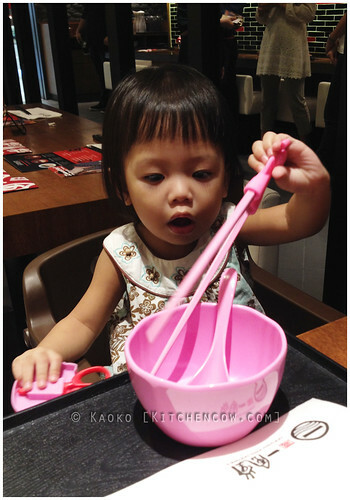 I found it really cool that they provide tiny dinners with a special bowl and training chopsticks so they can share with their parents. And tiny plastic scissors for cutting the ramen, too! The Dashimaki Tamago is a soft, fluffy omelette, done savory unlike the sweetened dashimaki tamago usually served in local Japanese restaurants. Ippudo’s version also comes with a mayo-mentaiko dip that adds depth and a strong hit of flavor to the creamy but basic egg. And that’s just a small preview of what Ippudo’s menu is like. 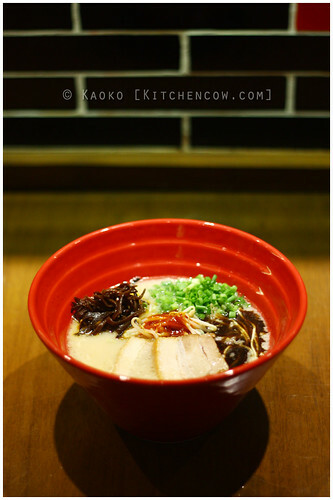 Ippudo will also offer rice dishes, salads, and desserts. 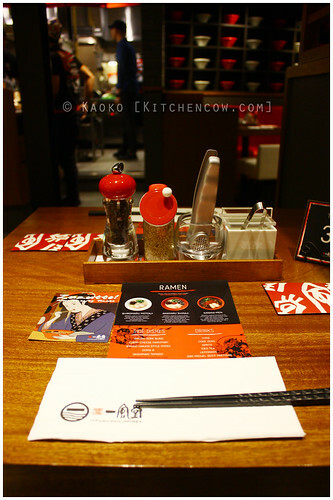 But truth be told, while the other dishes look interesting, it’s all about the ramen. And here, Ippudo excels. While the ramen wars are still going strong, I can easily bet that when the dust settles, Ippudo will be around as one of the victors. 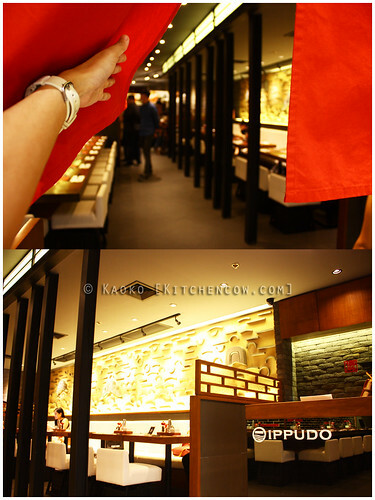 Ippudo can be found at 3F SM Megamall Fashion Hall. Disclosure: Kitchen Cow was invited to sample Ippudo’s offerings during a pre-opening tasting event. No monetary compensation was received. That looks really nice and Miffy looks like she’s having fun! Will look for it the next time I drop by Megamall. More ramen places to enjoy! Can’t wait to try this one!